The Story of "Pond Life"
"Pond Life" is an examination of tranquility in nature, although in this case a little frustration is added. 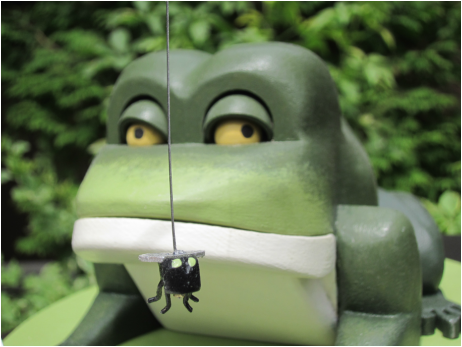 Hopkins the bullfrog repeatedly fails in his attempts to gobble up Fiona the fly as she circles a water lily. 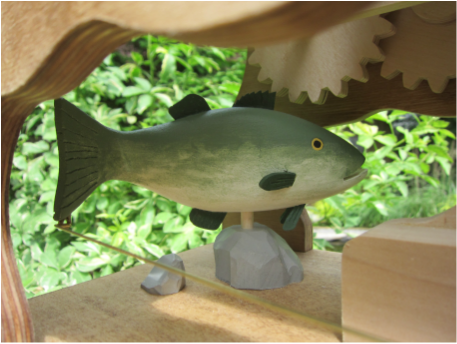 Billy the small-mouthed bass peacefully hovers in the pond water below unaware of the proceedings above while a coiled Willy the water snake provides a means of motive power to animate the scene. Nature is a collection of awesome wonders!